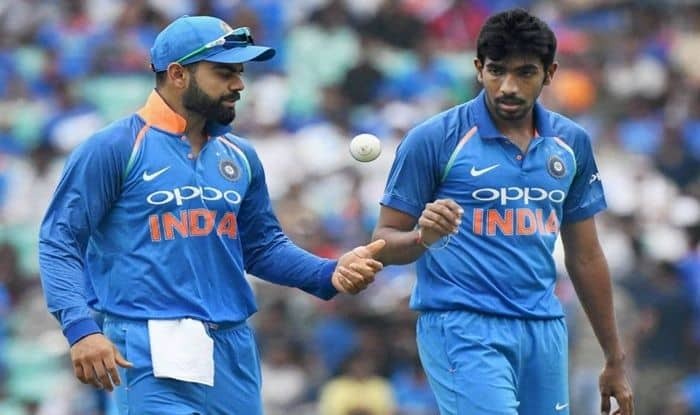 Indian cricket stars Virat Kohli and Jasprit Bumrah have consolidated their top spots in the latest Men's ODI player ranking. Indian cricket skipper Virat Kohli and Jasprit Bumrah solidified their top two spots in the latest ICC Men’s ODI player rankings on Monday. While Kohli remains at the summit in the batting rankings with an impressive 890 points, Jasprit Bumrah holds the pole position in bowling category. Rohit Sharma is just behind Kohli in the second position of the batting rankings with 839 points. In bowling, the other Indians featuring in the top ten rankings are Kuldeep Yadav and Yuzvendra Chahal – the former holds the seventh position (689 points) whereas Chahal holds the eighth position (680 points).